While functionally the typewriter is no longer necessary to get words onto paper, the aesthetic appeal of the old-school word processor is timeless. In addition to their retro good looks, typewriters are also fun to use, providing us with an ongoing sense of accomplishment as the carriage slides back into place with each new line of copy. Since the same cannot be said for our fancy computers, smartphones, and tablets, Philadelphia-based designer and engineer Jack Zylkin created the USB Typewriter to bring back the days when creating words and sentences also meant creating sound and movement. 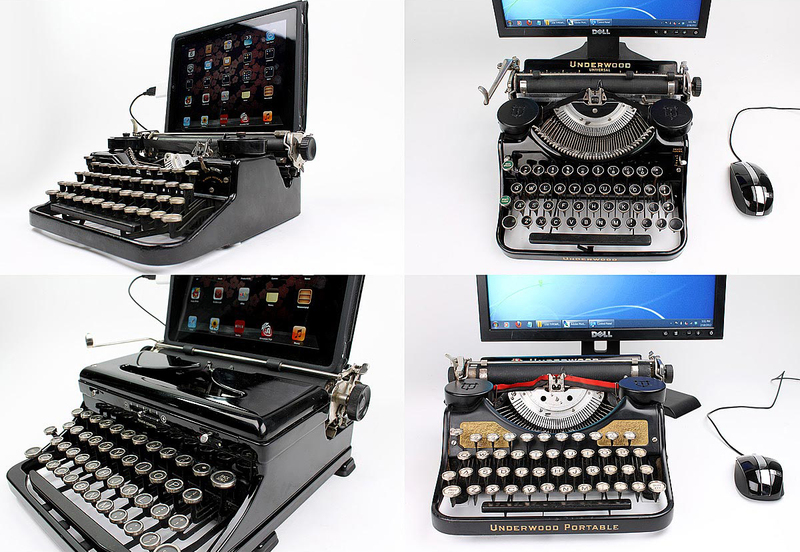 Zylkin’s updated machine has the look and feel of an old-school typewriter, but also come complete with a USB connector compatible with most devices. The gadget features the added functionality of a modern keyboard that includes ctrl, alt, esc and arrow keys. 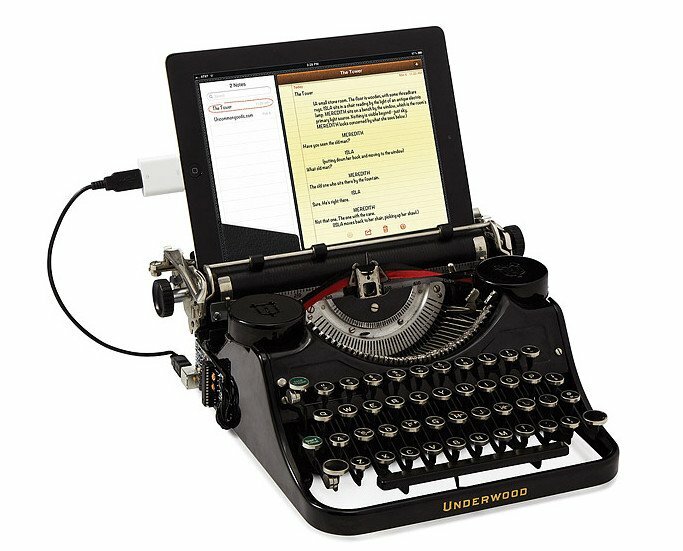 The USB Typewriter can be purchased on UncommonGoods, and you can learn more about Jack and his typewriter crusade here.